Super stoked to announce that after several late late night calls to a UK based hosting provider, our first international client’s site is now live. 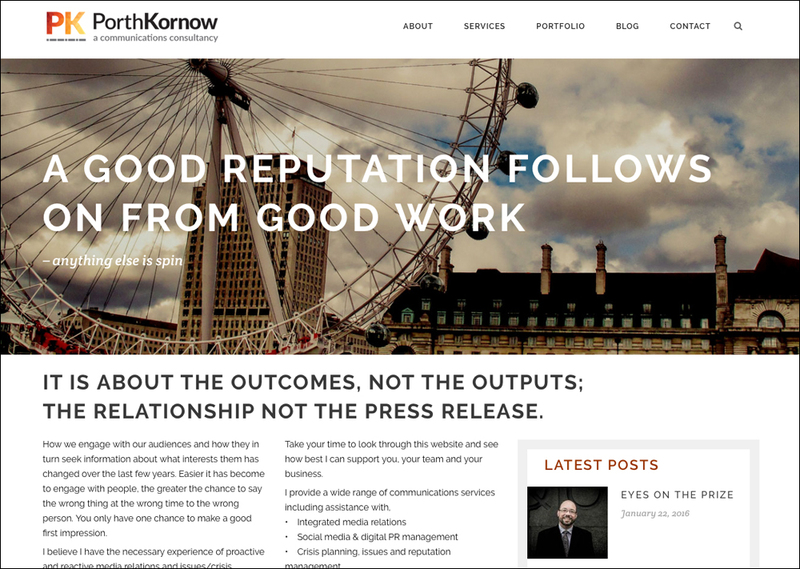 PorthKornow is a London based communications company specializing in media relations, issues management, social and digital PR management, crisis planning and many other communications services. It is run by an exceptional fellow with a very cool name; Cornelius Alexander.